Buying running shoes recommends taking your time and do it properly. Buying running shoes recommends spending time purchasing the right pair rather than a lot more consulting your chiropractor, podiatrist and orthopaedic surgeon for sore feet. To walk or run, you need a decent pair of shoes; ones that fit nicely and aren't going to give you foot and ankle pain. Exercise is about improving your health, after all, not about increased visits to your chiropractor. Does one size fit all when buying shoes? Nope, I'm afraid not; nor one brand. Does one brand fit all when buying walking shoes? Unlikely. Take your time when buying running shoes. Set aside a whole morning, and be pleased if you can do it in under two hours. Why? Because it's important, and many of the foot pain patients treated at the chiropractic coalface are simply a matter of getting them out of poorly fitting sneakers. Did you know that right and left shoes only became available for the first time about one hundred years ago? Before that your foot had to fit the shoe, not vice versa. But now you have the choice, if you'll take the time. Otherwise, pain is going to be your lot. Make sure they are snug but not too tight. Not too loose either, or you'll get blisters. Buying running shoes suggests that you take your time and do it properly; otherwise it's going to cost you a lot of money, not mention the foot pain, plantar myofascitis and heel spurs. Here are a few of my tips for buying shoes. Rule 1: If when buying shoes they aren't immediately comfortable, discard them. Don't believe the rubbish about they will stretch, and you'll wear them in. That's just nonsense. If they aren't immediately comfortable, move on to the next pair, and maybe the next shop. Yes, it will take time to buy a decent, properly fitting pair of shoes that are not going to give you umpteen visits to the chiropractor or podiatrist. Or worse still, the orthopaedic surgeon, the man with the knife. Rule 2: You find two or three shoes that are equally comfortable, or nearly equal, and your're having a hard time choosing. Put Shoe 1 on the right foot, and Shoe 2 on the left foot. Walk about, run, and jump; which is more comfortable? Now put Shoe 1 on the left foot, and Shoe 2 on the right foot. Again, walk, jump, and bounce; which is better? Hopefully your right and left foot agree which pair of shoes are more suited to your feet. Now repeat with Shoe 3. Rule 3: Still in doubt? Spend the time, be patient, move on to the next store. You can always come back. Rule 4: Finally, found the right pair? Run in them for a week or three, and if you're still convinced, go back to the shop and buy another pair and put them away. Try them on first, again, of course. Shoes manufactured on a Monday aren't always precisely the same as those made on Friday! You've just saved yourself 2 to 5 hours of time, because that's what it will take next year to find another comfortable pair of shoes. Unless you're one of that strange breed who love to shop 'til they drop. A very strange breed! The long and the short of buying shoes is to take your time, it's worth it. Don't have the time? Don't go shopping until you do. Research at the University of Exeter has found that those using minimal running shoes, and land on the forefoot rather than the heel, had significantly lower instantaneous loading rates. With 75% of runners experiencing an injury every year, this could make a real difference. However, when running in the standard shoe, there was no difference in the loading, whether landing on the heel or forefoot. Says leading researcher, Dr Hannah Rice, running in minimal shoes and landing on the balls of your feet reduces loading rates. Further research needs to be done to determine if the risks associated with running are reduced. Read more at influence of footwear and foot strike on load rates during running. Plantar myofascitis often is the result of fixated joint in the ankle or foot, but it can be elsewhere too; buying running shoes that suit your feet is vital. 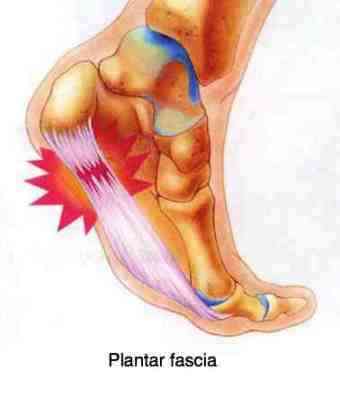 Just this morning I had a new patient complaining of dorsum of the foot pain, and tightness under the foot. Yes, the calcaneus was fixated restricting supination but, on further examination, he clearly has femoro acetabular impingement syndrome in the opposite hip. That's structural and I suspect the cause of his plantar myofascitis, rather than vice versa. 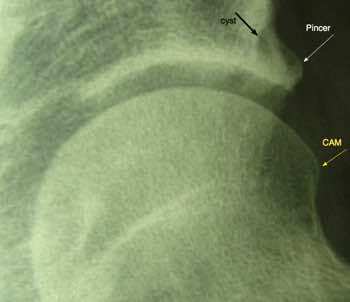 There are signs of both a pincer and CAM deformity, and even a very small cyst; more significant as far as his plantar myofascitis is concerned is the quite severe loss of internal hip rotation; that has a marked knock on effect on the gait, and hence a likely cause of foot pain. Standard footwear might well not suit him and taking time whilst buying running shoes would be a good investment; even if it takes a whole morning. If you don't spend the time buying running shoes then you'll become prone to the various conditions of the foot and ankle that many chiropractors are busy with day in and out; not forgetting the knock on effect on your knees, hips and lower back. Running shoes also attempt to maintain the normal pronation and supination or rolling action of the ankle. 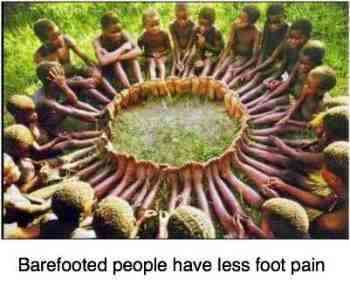 There's nothing so good as running barefoot but that's not practical obviously. 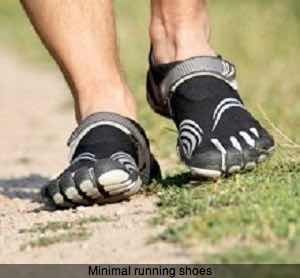 But if you are running on a grassy sports field, for heaven's sake take your shoes off. There's lot's of research proving that people who don't or rarely use footwear have far less problems with the feet and ankles. Plantar myofascitis and bunions, metatarsalgia and foot pain are all directly related to taking a little extra time when buying running shoes. There's lots of information at chiropractic help. Just use the search this site function to find it. 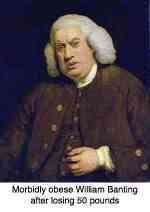 Metatarsalgia is particularly knotty and common problem. It starts feeling like you are walking with a pea under your forefoot. Neglect it and it will start spreading into the arch of the foot, both on top and under your foot as you start to compensate. When it starts to swell it will affect the interdigital nerves and then you're likely to get a Morton's neuroma. Yet it responds well to chiropractic treatment of the foot and ankle provided you don't wait years. A simple set of exercises help for the pain too. Foot pain is endemic in society today; often it's an old ankle sprain that was not well managed leaving subluxations of the small bones. But it can be obesity too; it doesn't just cause diabetes and high blood pressure but also foot pain, and knee arthritis. Taking time when buying running shoes is vital. Heel spur is characterised by pain under the calcaneus, often severe first thing in the morning; the key is a cushion with a cut out portion, and correcting any fixations in the ankle; buying minimal running shoes with forefoot strike reduces the loading on the foot. Heel spurs are very treatable without surgery; relaxed buying running shoes is only part of the solution.